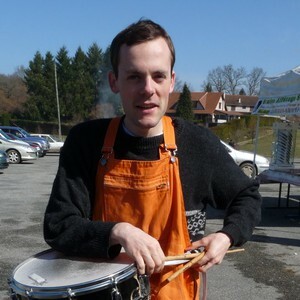 Samuel Thibault is a French guy like me, but it took years until we met. He tends to keep a low profile, even though he’s doing lots of good work that deserves to be mentioned. He focuses on improving Debian’s accessibility and contributes to the Hurd. Who said he’s a dreamer? 🙂 Checkout his interview to have some news of Wheezy’s status on those topics. Samuel: I am 30 years old, and live in Bordeaux, France. During the workday, I teach Computer Science (Architecture, Networking, Operating Systems, and Parallel Programming, roughly) at the University of Bordeaux, and conduct researches in heterogeneous parallel computing. During the evening, I play the drums and the trombone in various orchestra (harmonic/symphonic/banda/brass). During the night, I hack on whatever fun things I can find, mainly accessibility and the Hurd at the moment, but also miscellaneous bits such as the Linux console support. I am also involved in the development of Aquilenet, an associative ISP around Bordeaux, and getting involved in the development of the network infrastructure in Bordeaux. I am not practicing Judo any more, but I roller-skate to work, and I like hiking in the mountains. I also read quite a few mangas. Saturday mornings do not exist in my schedule (Sunday mornings do, it’s Brass Band rehearsal :)). I have been hacking around GNU/Linux since around 1998. I installed my first Debian system around 2000, as a replacement for my old Mandrake installation (which after all my tinkering was actually no longer looking like a Mandrake system any more!). That was Potato at the time, which somebody offered me through a set of CDs (downloading packages over the Internet was unthinkable at the time with the old modems). I have been happily reading and hacking around documentation, source code, etc. provided on them. Contribution things really started to take off when I went to the ENS Lyon high school in 2001: broadband Internet access in one’s own student room! Since sending a mail was then really free, I started submitting bugs against various packages I was using. Right after that I started submitting patches along them, and then patches to other bugs. I did that for a long time actually. I had very little knowledge of all packaging details at the time, I was just a happy hacker submitting reports and patches against the upstream source code. At ENS Lyon, I met a blind colleague with very similar hacking tastes (of course we got friends) and he proposed me, for our student project, to work on a “brlnet” project (now called brlapi), a client/server protocol that lets applications render text on braille devices themselves. Along the way, I got to learn in details how a blind person can use a Unix system and the principles that should be followed when developing Accessibility. That is how I got involved in it. We presented our project at JDLL, and the Hurd booth happened to be next to our table, so I discussed with the Hurd people there about how the Hurd console could be used through braille. That is how I got into the Hurd too. From then on, I progressively contributed more and more to the upstream parts of both accessibility software and the Hurd. And then to the packaging part of them. Through patches in bug reports first, as usual, as well as through discussions on the mailing lists. But quickly enough people gave me commit access so I could just throw the code in. I was also given control over the Hurd buildds to keep them running. So to sum it up, the Debian project is very easy to contribute to and open to new people. It was used during discussions at the GNU Hackers Meeting 2011 as an example of a very open community with public mailing lists and discussions. The mere fact that anybody can take the initiative of manipulating the BTS (if not scared by the commands) without having to ask anybody is an excellent thing to welcome contributions; it is notable tha the GNU project migrated to the Debbugs BTS. More generally, I don’t really see the DD status as a must, especially now that we have the DM status (which is still a very good way to drag people into becoming DDs). For instance, I gave a talk at FOSDEM 2008 about the state of accessibility in Debian. People did not care whom I was, they cared that there was important stuff going on and somebody talking about it. More generally, decisions that are made through a vote are actually very rare. Most of the time, things just happen on the mailing lists or IRC channels where anybody can join the discussion. So I would recommend beginners to first use the software, then start reporting bugs, then start digging in the software to try fix the bugs by oneself, eventually propose patches, get them reviewed. At some point the submitted patches will be correct already most of the time. That’s when the maintainers will start getting bored of just applying the patches, and simply provide with commit access, and voilà, one has become a main contributor. Raphael: You’re one of the main contributors to the Debian GNU/Hurd port. What motivates you in this project? Samuel: As I mentioned above, I first got real contact with the Hurd from the accessibility point of view. That initially brought me into the Hurd console, which uses a flexible design and nice interfaces to interact with it. The Hurd driver for console accessibility is actually very straightforward, way simpler than the Windows or Linux drivers. That is what caught me initially. I have continued working on it for several reasons. On my Hurd box, the ~/ftp: directory is indeed actually served by an ftpfs translator, run under my user uid, which is thus completely harmless to the system. Raphael: The FTPmasters want to demote the Hurd port to the debian-ports.org archive if it doesn’t manage a stable release with wheezy. We’re now at 2 months of the freeze. How far are you from being “releasable”? Samuel: Of course, I can not speak for the Debian Release team. The current progress is however encouraging. During Debconf11, Michael Banck and I discussed with a few Debian Release team members about the kind of goals that should be achieved, and we are near completion of that part. The Debian GNU/Hurd port can almost completely be installed from the official mirrors, using the standard Debian Installer. Some patches need some polishing, but others are just waiting for being uploaded… Debian GNU/Hurd can start a graphical desktop and run office tools such as gnumeric, as well as the iceweasel graphical web browser, KDE applications thanks to Pino Toscano’s care, and GNOME application thanks to Emilio Pozuelo Monfort’s care. Of course, general textmode hacking with gcc/make/gdb/etc. just works smoothly. Thanks to recent work on ghc and ada by Svante Signell, the archive coverage has passed 76%. There was a concern about network board driver support: until recently, the GNU Mach kernel was indeed still using a glue layer to embed the Linux 2.2 or even 2.0 drivers (!). Finding a network board supported by such drivers had of course become a real challenge. Thanks to the GSoC work of Zheng Da, the DDE layer can now be used to embed Linux 2.6.32 drivers in userland translators, which was recently ACCEPTed into the archive, and thus brings way larger support for network boards. It also pushes yet more toward the Hurd design: network drivers as userland process rather than kernel modules. That said, the freeze itself is not the final deadline. Actually, freeze periods are rests for porters, because maintainers stop bringing newer upstream versions which of course break on peculiar architectures. That will probably be helpful to continue improving the archive coverage. Raphael: The kfreebsd port brought into light all the packages which were not portable between different kernels. Did that help the Hurd port or are the problems too different to expect any mutual benefit? Samuel: The two ports have clearly helped each other in many aspects. The hurd-i386 port is the only non-Linux one that has been kept working (at least basically) for the past decade. That helped to make sure that all tools (dpkg, apt, toolchain, etc.) were able to cope with non-Linux ports, and keep that odd-but-why-not goal around, and evidently-enough achievable. In return, the kFreeBSD port managed to show that it was actually releasable, at least as a technological preview, thus making an example. In the daily work, we have sometimes worked hand in hand. The recent porting efforts of the Debian Installer happened roughly at the same time. When fixing some piece of code for one, the switch-case would be left for the other. When some code could be reused by the other, a mail would be sent to advise doing so, etc. In the packaging effort, it also made a lot of difference that a non-Linux port is exposed as released architecture: people attempted by themselves to fix code that is Linuxish for no real reason. The presence of the kFreeBSD is however also sometimes a difficulty for the Hurd: in the discussions, it sometimes tends to become a target to be reached, even if the systems are not really comparable. I do not need to detail the long history of the FreeBSD kernel and the amount of people hacking on it, some of them full-time, while the Hurd has only a small handful of free-time hackers. The FreeBSD kernel stability has already seen long-term polishing, and a fair amount of the Debian software was actually already ported to the FreeBSD kernel, thanks to the big existing pure-FreeBSD hackerbase. These do not hold for the GNU/Hurd port, so the expectations should go along. Raphael: You’re also very much involved in the Debian Accessibility team. What are the responsibilities of this team and what are you doing there? Samuel: As you would expect it, the Debian Accessibility team works on packaging accessibility-related packages, and helping users with them; I thus do both. But the goal is way beyond just that. Actual accessibility requires integration. Ideally enough, a blind user should be able to just come to a Debian desktop system, plug his braille device, or press a shortcut to enable speech synthesis, and just use the damn computer, without having to ask the administrator to install some oddly-named package and whatnot. Just like any sighted user would do. He should be able to diagnose why his system does not boot, and at worse be able to reinstall his computer all by himself (typically at 2am…). And that is hard to achieve, because it means discussing about integration by default of accessibility features. For instance, the Debian CD images now beep during at the boot menu. That is a precious feature that has been discussed between debian-boot and debian-accessibility for a few weeks before agreeing on how to do it without too much disturbance. Similarly, my proposition of installing the desktop accessibility engines has been discussed for some time before being commited. What was however surprisingly great is that when somebody brought the topic back for discussion, non-debian-accessibility people answered themselves. This is reassuring, because it means things can be done durably in Debian. On the installation side, our current status is that the stable Debian installer has a high contrast color theme, and several years ago, I have pushed toward making standard CD images automatically detect braille devices, which permits standalone installation. I have added to the Wheezy installer some software speech synthesis (which again brought discussion about size increase vs versatility etc.) for blind people who do not have a braille device. I find it interesting to work on such topic in Debian rather than another distribution, because Debian is an upstream for a lot of distributions. Hopefully they just inherit our accessibility work. It at least worked for the text installer of Ubuntu. Of course, the Accessibility team is looking for help, to maintain our current packages, but also introduce new packages from the TODO list or create some backports. One does not need to be an expert in accessibility: tools can usually be tested, at least basically, by anybody, without particular hardware (I do not own any, I contributed virtual ones to qemu). For new developments and ideas, it is strongly recommended to come and discuss on debian-accessibility, because it is easy to get on a wrong track that does not bring actual accessibility. We still have several goals to achieve: the closest one is to just fix the transition to gnome3, which has been quite bad for accessibility so far :/ On the longer run, we should ideally reach the scenario I have detailed above: desktop accessibility available and ready to be enabled easily by default. 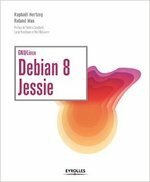 Samuel: Debian is famous for its heated debian-devel discussions. And some people eventually say “this no fun any more”. That is exemplified in a less extreme way in the debian-boot/accessibility discussions that I have mentioned above. Sometimes, one needs to have a real stubborn thick head to continue the discussion until finding a compromise that will be accepted for commit. That is a problem because people do not necessarily have so much patience, and will thus prefer to contribute to a project with easier acceptance. But it is also a quality: as I explained above, once it is there, it is apparently for good. The Ubuntu support of accessibility in its installer has been very diverse, in part due to quite changing codebase. The Debian Installer codebase is more in a convergence process. Its base will have almost not changed between squeeze and wheezy. That allowed the Debian Accessibility team to continue improving its accessibility support, and not have to re-do it. A wiki page explains how to test its accessibility features, and some non-debian-accessibility people do go through it. A problem I am much more frightened by is the manpower in some core teams. The Debian Installer, grub, glibc, Xorg, gcc, mozilla derivatives, … When reading the changelogs of these, we essentially keep seeing the same very few names over and over. And when one core developer leaves, it is very often still the same names which appear again to do the work. It is hard to believe that there are a thousand DDs working on Debian. I fear that Debian does not manage to get people to work on core things. I often hear people saying that they do not even dare thinking about putting their hands inside Xorg, for instance. Xorg is complex, but it seems to me that it tends to be overrated, and a lot of people could actually help there, as well as all the teams mentioned above. And if nobody does it, who will? Samuel: That is an easy one 🙂 Of course I wish that we manage to release the hurd-i386 port. I also wish that accessibility of gnome3 gets fixed enough to become usable again. The current state is worrying: so much has changed that the transition will be difficult for users already, the current bugs will clearly not help. I also hope to find the time to fix the qt-at-spi bridge, which should (at last!) bring complete KDE accessibility. Samuel: Given the concerns I expressed above, I admire all the people who do spend time on core packages, even when that is really not fun everyday. Just to alphabetically name a few people I have seen so often here and there in the areas I have touched in the last few years: Aurélien Jarno, Bastian Blank, Christian Perrier, Colin Watson, Cyril Brulebois, Frans Pop, Jörg Jaspert, Joey Hess, Josselin Mouette, Julien Cristau, Matthias Klose, Mike Hommey, Otavio Salvador, Petr Salinger, Robert Millan, Steve Langasek. Man, so many things that each of them works on! Of course this list is biased towards the parts that I touched, but people working in others core areas also deserve the same admiration. Thank you to Samuel for the time spent answering my questions. I hope you enjoyed reading his answers as I did. Note that older interviews are indexed on wiki.debian.org/PeopleBehindDebian. Subscribe to my newsletter to get my monthly summary of the Debian/Ubuntu news and to not miss further interviews. You can also follow along on Identi.ca, Google+, Twitter and Facebook. Hello, nice interview… Like Darius, many thanks as well to make us dream about GNU ! I have susscessfully installed Debian Gnu Hurd in qemu.